With IJ&T you make money on every job, which can't be said for an in-house repair facility. We grow with your business. You can get high quality, professional service whether you take in 5 repairs a month or 500. You don't get burned with high overhead in the slow times and you don't fall behind during the busy times. It's all about scalability. We are a professional jewelry shop, not some jeweler working out of his garage. This means: top notch security (alarm system, TL-30 safe, 24-hour video surveillance, Jeweler's Mutual insurance, etc.) and experience (over 20 years in Sacramento) you can trust. We can do jobs most other jewelers can't with our state-of-the-art jewelry shop which includes a laser welder (learn more about IJ&T). Still not convinced? Learn more about how IJ&T can improve your jewelry business from our 10 Rules of Jewelry Repair Profitability. Are you ready to start making money on every repair job that comes in your shop? Contact us now and turn your jewelry repair service into a profit center. Not a member of the jewelry trade? 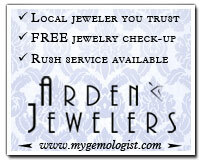 That's ok, just stop by the quality jeweler below and tell them that you'd like your repair work sent to IJT.